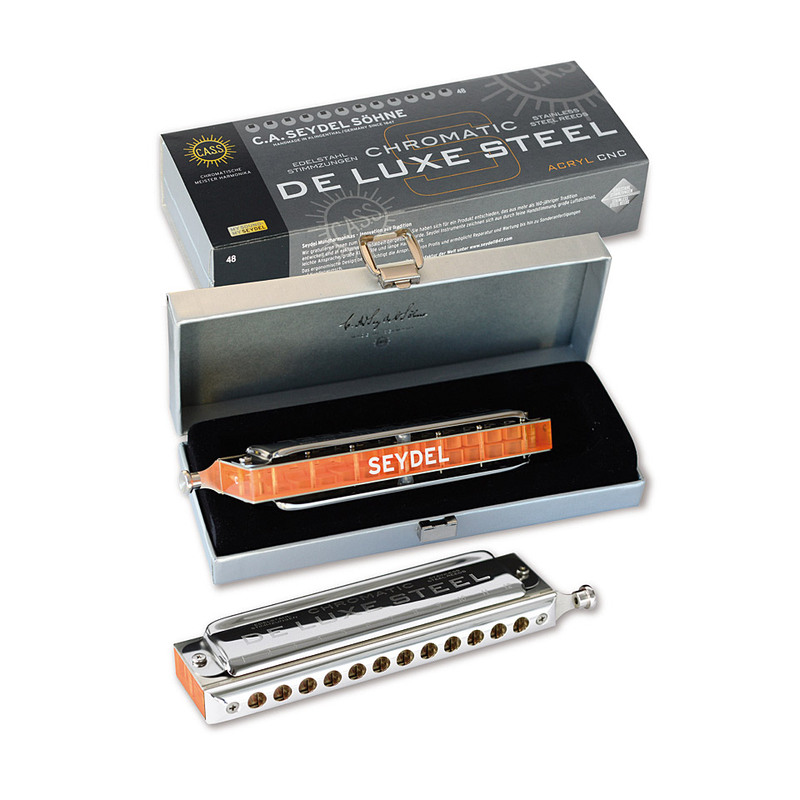 The Chromatic DeLuxe Steel is a chromatic harmonica with 48 stainless steel reeds and orange acrylic body and half moon mouthpiece. 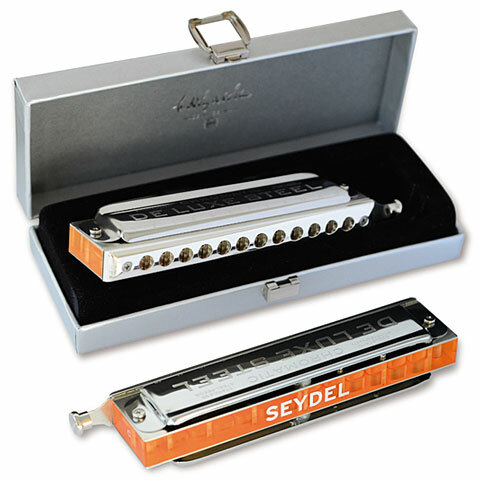 She is the 'little sister' of Seydel's top model, the Saxony Chromatic, and she has Seydel's unique stainless steel reeds. The completely newly designed, crescent-shaped curved mouthpiece is fully silver plated and therefore has very good gliding properties. 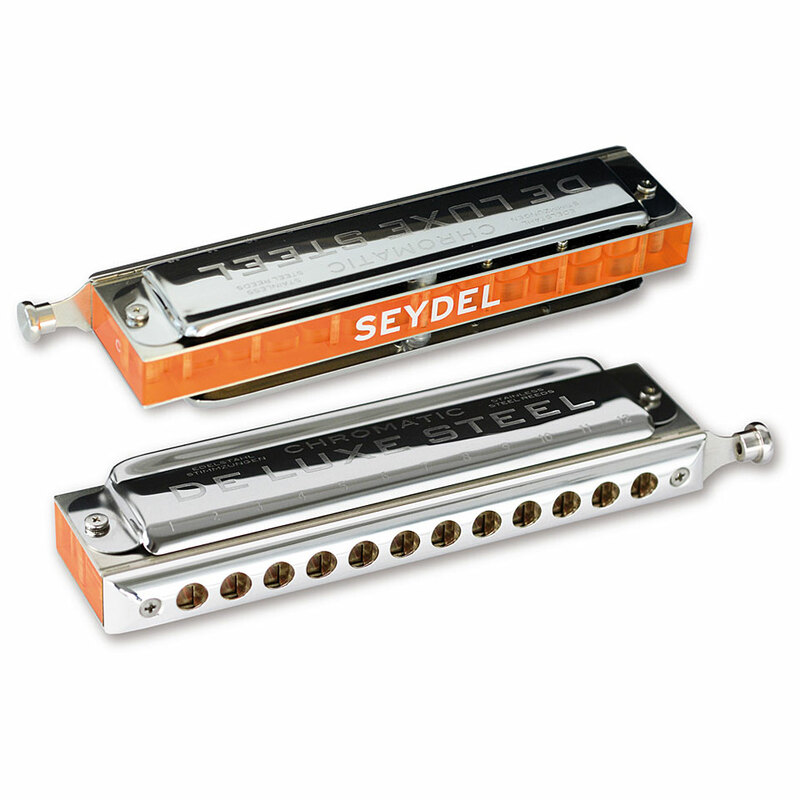 The Chromatic DeLuxe Steel impresses with its brilliant, full tone on all registers and a great tone response, which is achieved by an extremely airtight and solid construction. High durability and reliability are guaranteed by using only anti-corrosive materials for all parts. 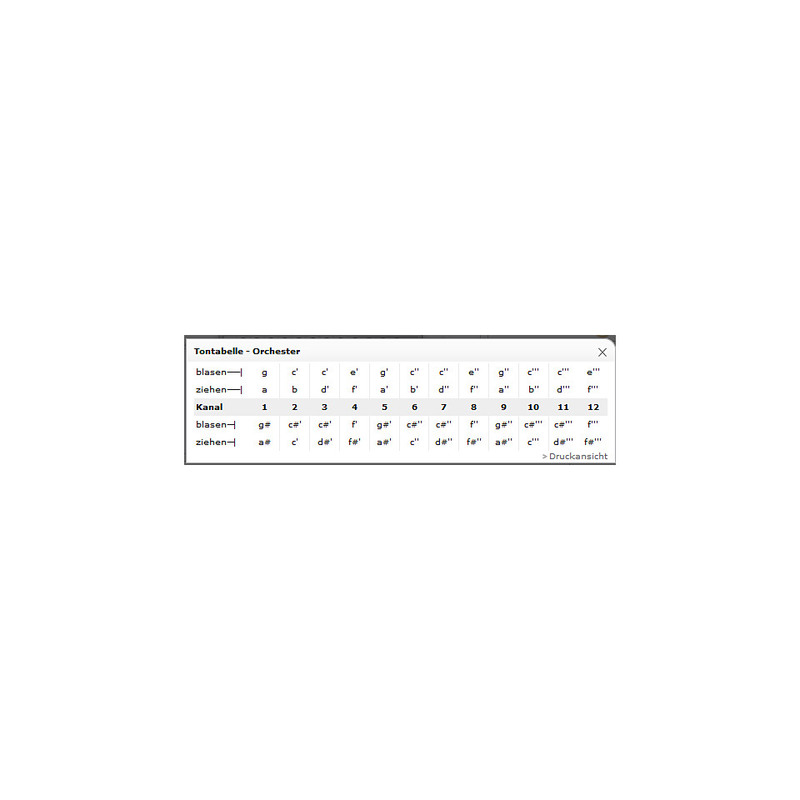 The Chromatic De Luxe Steel is also available in many other keys besides the standard version in C / C #. This item was given an average rating of 5 out of 5 stars. No review about this product has been written yet. 3 ratings exist without a text or these reviews are written in another language. · Show all articles of the brand C.A. Seydel Söhne.